Learn how to improve your sight-reading and why it is absolutely essential for you to develop this all-important piano skill! Why is sight-reading so important? Sight-reading is an essential skill that all pianists should possess and excel at it. If you are not familiar with this term, sight-reading is the art of being able to play a piano piece at first sight without any prior (or little) preparation. 1. Reading a score easily at first sight will definitely help you learn a new piece of the repertoire much quicker and make the initial part of your practice much less laborious. It is a real shame to struggle with the learning of the notes and spend so much time on this initial step that you could end up losing interest at the moment when you are finally ready to work on the most interesting part, which is adding musicality and interpretation. 2. 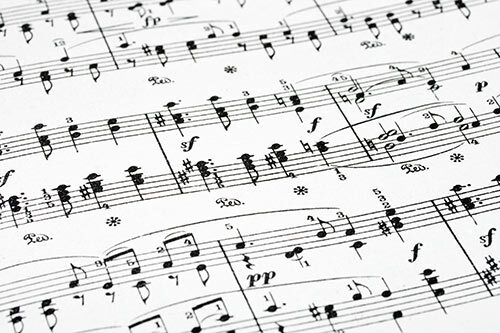 Being proficient at sight-reading is also wonderful as it allows you to have fun at the piano whenever you feel like it. Imagine the pleasure you would have if you could pick up any piano score and play your favourite songs or pieces at any given time. Just for fun, without practising it! I must assure you that it is greatly enjoyable when you want to relax and play the songs of your choice which are not part of your daily practice and homework. 3. As a pianist, it is fantastic to meet other musicians and enjoy playing together. If you are surrounded by friends who play a different instrument, it could often happen that one of them tell you for instance: “I have just purchased these Mozart’s sonatas for violin and piano, would you like to have go at it?” It would certainly be disappointing if you were totally unable to play it on the spot and have to go home first to spend hours practising it before enjoying this musical moment with your friend. On the other hand, being able to accompany him or her immediately would be extraordinary for both of you! Why is your sight-reading so poor? You might certainly wonder why your sight-reading is so poor. Well, the answer is pretty straight forward: Simply because you have not spent enough time working on this aspect of piano playing. Why didn’t you? Because it is not fun at first. It is arduous and often not as pleasurable as practising your piano pieces. I am aware of it as I have myself had to go through these first steps before becoming an excellent sight-reader and I remember not enjoying it much. Fortunately, I have persevered! When doing sight-reading, you are exposed to a piano piece that you are not familiar with and it is quite uncomfortable, but the better you get at it, the more agreeable it becomes. Not spending time enough time on it will certainly not help you improve. On the contrary, failing at this task will make you dislike it more and more and you might end up giving up. How can you improve your sight-reading greatly? The first way would be to include it to the practice of your piano pieces. I have often met piano pupils who tend to memorise the pieces that they practise and do not look at the score anymore at a very early stage of the process. Do not get me wrong, it is fantastic to be able to play a piece by memory once you truly know it well, and even advised to perform it better, but it is a bad habit to memorise it too early to make your life easier. Pianists play by memory to perform a piece better, as looking at the score reduce the ability to produce an emotional interpretation. They do not play by heart because it is too hard for them to look at both the score and the piano keys. Unfortunately, it is a trap that many beginner and intermediate pianists fall into. They memorise the scores quickly to make it easier for themselves, as they can fully dedicate their attention to the piano keys and avoid having to read the music notes. Memorising a piece to make it easier for you to perform when you are not totally familiar with the music notes is a terrible idea as it will prevent you to know them better and become fluent in the music language. It actually reduces your ability to sight-read and it is extremely detrimental to your overall piano education. During my teaching career, I have met two intermediate pianists who totally tricked me using this deceitful method. Both of them came to their first lesson saying that they wanted to improve their interpretation. One of them was playing a Mozart sonata. The other student was playing a Chopin nocturne. I was truly impressed and thought for a few weeks that there abilities were reasonably high. They were playing very beautifully and all seemed in order. Once our work on this specific first piece was completed, they asked me to choose a new piece to work on. I obviously chose a piece of the same standard. In both cases, I had the same surprise when they attended their next lesson a week later. They were both totally unable to play. I could not understand it at all. Well, both of them revealed to me that they were actually playing the same piece for years and that it initially took them ages to decrypt the score. They were totally faking their abilities and we sadly had to go back to beginner pieces that they were truly able to read and play. What a shame not to have done it in the right order and to have to go backwards! To be honest, I think that it is extremely discouraging so do not follow their path! 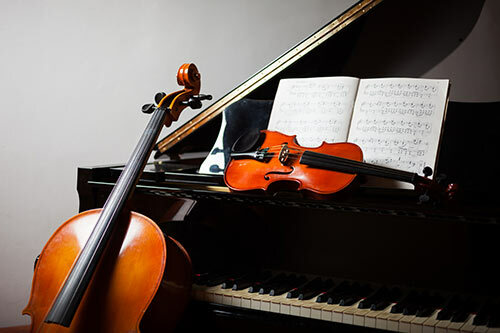 By forcing yourself to look at the score, even if you obviously already know it thanks to the several repetitions that are necessary to learn the piece, you can already improve your sight-reading without having to do any special exercise for it. But if you truly wish to become excellent at it, you should definitely work on this skill daily and include it to all your practice sessions. It is definitely the second way to progress tremendously. I would advise to pick up pieces that are short and that would be too easy for you to practise. I am suggesting a short piece as sight-reading is tiring. Do not hesitate to choose extremely easy piano pieces to get use to this exercise. Their complexity can come at a later stage. The sight-reading books provided by The Associated Board of the Royal Schools of Music are fantastic but you can also choose easy compilations of pop songs. It could definitely make it more fun to sight-read a song that you already know. As sight-reading includes ‘reading’, it is also a wonderful idea to read music notes often and away from the piano in order to become as fluent as possible in this new language. Actually, it could be compared to reading. You might remember that reading a book as a young child was painful as you had to stop at each word. Now that you are fluent in English, you can recognise each of them instantly and you do not need to think about them at all anymore. Your reading and understanding of each word is so advanced that you can now fully focus on the meaning of the novel that you are reading instead of decoding each word slowly. It is exactly the same in music. Brilliant sight-readers know the music notes so well that they read a piano score with the same facility as they would read a book in their native language. Don’t you think that it worths making the initial effort and get to that wonderful stage? I am myself an excellent sight-reader as I have always been exposed to it. Since a very young age, my father, who is an amateur violinist, used to put new scores on the piano stand for me to play various duets with him and I must say that it was a phenomenal school. I basically grew up with sight-reading thanks to these regular chamber music sessions! I have also spent a lot of time working with opera singers. As a teenager, I was engaged by the singing instructor of my music academy to attend his classes and accompany his students without knowing which piece they were working on prior to the lessons. As you can read, I have always been exposed to sight-reading and it is the reason why I am so proficient at it! There is no secret. As any other skill, it is by doing it extremely regularly that you will improve greatly. Nobody is actually bad at sight-reading but those who think they are, are in this situation simply because they have not dedicate enough time to it. It is as simple as that! So start working on it today. I promise you that it will change your life as a pianist! Find out how to seriously improve your sight-reading thanks to the exceptional advice given by master pianist Celine Gaurier-Joubert. Discover her secret tips on sight-reading improvement to become an extremely proficient sight-reader.